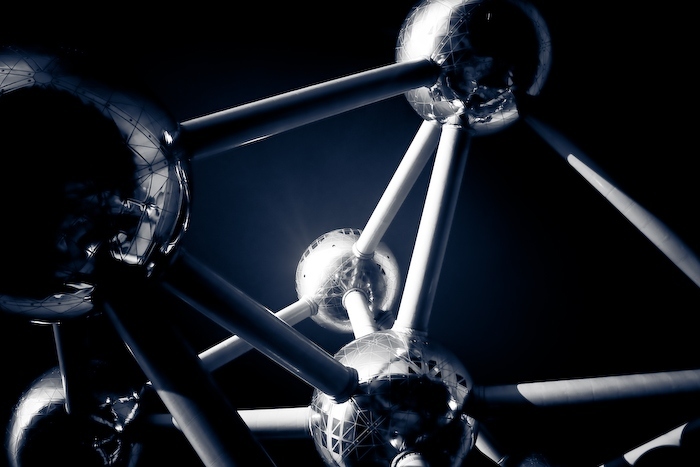 There is no way that one is visiting Brussels without also visiting the Atomium, the landmark of Brussels. The Atomium was built for the Expo 58, the Brussels world's fair, and represents an iron crystal magnified 165 billion times. Impressive! impressive is also what you did to this photo by focusing solely on the structure and blending everything else out! great technique!